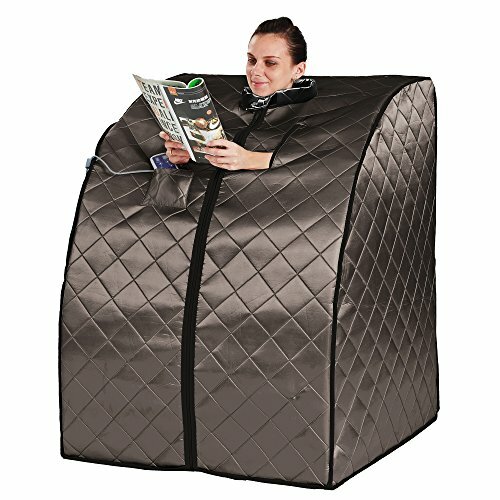 Infrared Sauna Detoxification - Could This Help You? You have heard the term "sweating it out", which is sometimes said when you are trying to get rid of a bug or virus. But in fact, ancient healing remedies, would quite often involve "sweating" as a way to detoxify the body and aid the immune system. 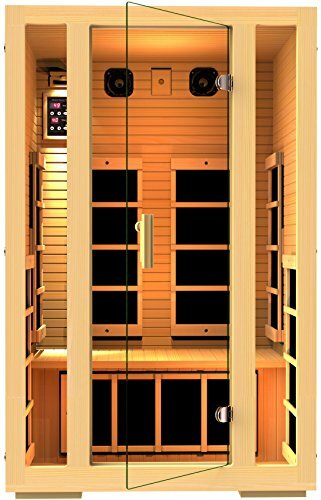 Infrared sauna detoxification is another great way to work up that sweat without heating up the air. An infrared is different from a steam one. The infrared heats up the body without moisture. A dry one (infrared) penetrates tissue with an all over warm feeling. This is done with radiant heat. This radiant heat will penetrate the body to a depth of up to 3 inches. This heating up of the body will trigger lots of sweating! It is this warmth in the muscles and the sweating that has been reported to make many people feel better. Many people prefer to use this method instead of the standard steam one, as the standard steam one also heats up the air, and for some people this makes them feel panicky and unable to breathe, which is not the effect you are looking for! By using an infrared as an added health benefit, the air is not heated up, just your body, so you can still breathe! The increased sweating is felt to release harmful chemicals in the body such as metals, additives, chemicals and more. Although these claims have never been proven by the medical community it has been noted that arthritis sufferers have felt better with more movement after using infrared sauna detoxification as part of their therapy. Detoxification does not happen over night, or with one treatment. But if you use a infrared unit over a period of weeks, it has been felt to improve the immune system, help increase your circulation, and another added benefit, there are claims that this is a good way to lose weight. As it helps with sodium buildup and bloating, and also the claim that sweating loosens fat cells. Sweating is your body's natural way to get rid of toxins, and makes you feel better. Remember when you had the flu? and your body increased the temperature to help get rid of the offending virus? Well this has a similar effect but with out the other horrible effects of the flu! The claim to this, is that the body must get hotter to increase natural immune system. Although none of this has been proven, there was a study, which showed up in the Clinical Rheumatology, that reported patients suffering from rheumatoid arthritis experienced decreases pain, and fatigue after a four week treatment using this type of detoxification. Never even knew the difference between standard and infrared. Got a great education!